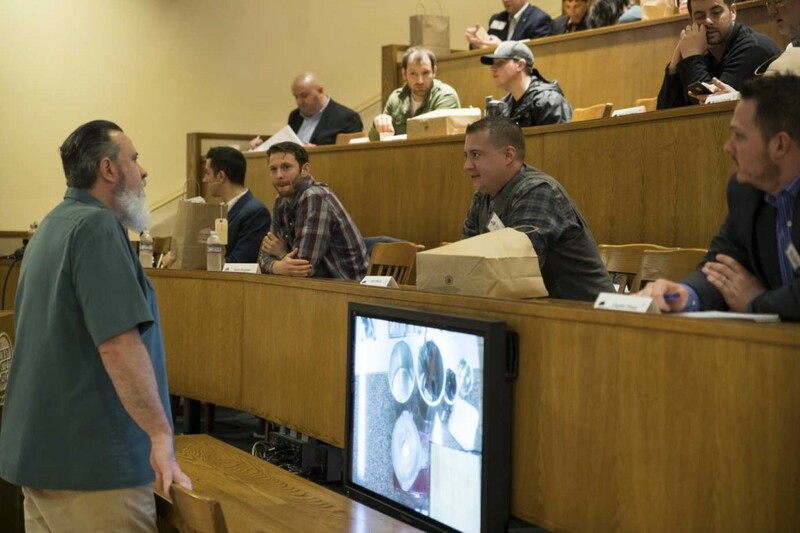 The 7th annual Pork Summit was held at the Culinary Institute of America’s Greystone Campus in St. Helena, CA. 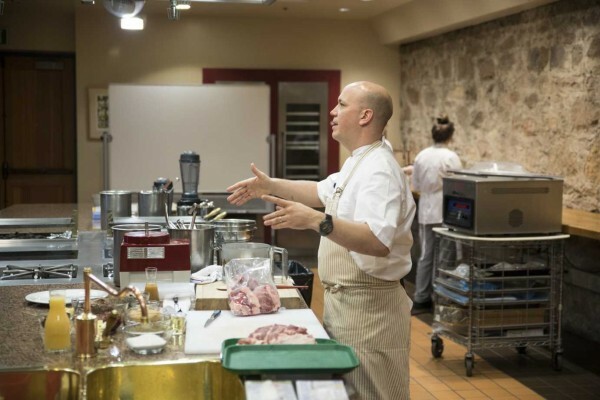 Stephen Gerike, Director of Foodservice Marketing and Innovation for The National Pork Board, kicked off Pork Summit 2017 with demos from award-winning chefs Cosmo Goss, Justin Carlisle, Brittanny Anderson and Justin Brunson. 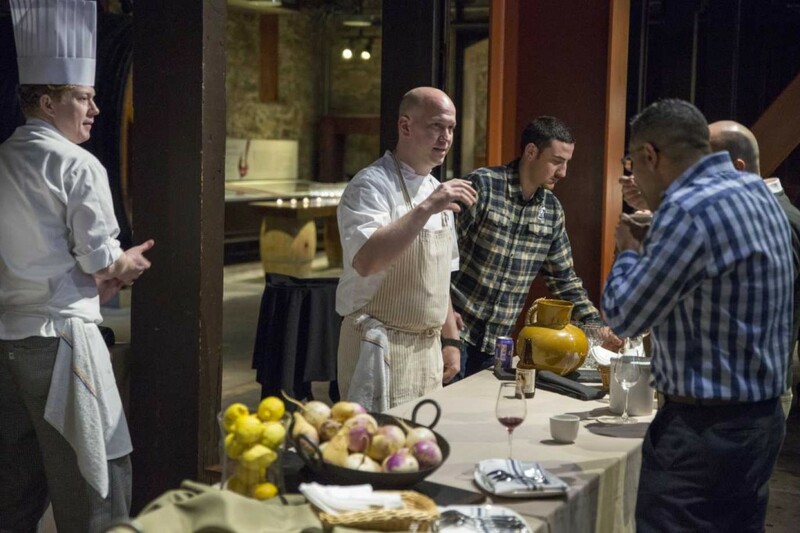 Each chef shared a unique cooking technique and dish. 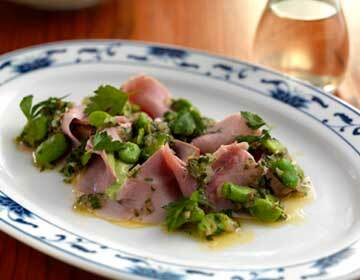 Goss of The Publican in Chicago, IL highlighted a creative use for the fresh leg with his Poached Pork Knuckle with tuna escabeche, green goddess dressing and fava bean salsa. Carlisle of Ardent and Red Light Ramen in Milwaukee, WI demonstrated Beer Mash-Fermented Pork Shoulder with rutabaga, yeast and cherry, showcasing pork shoulder’s versatility beyond pulled pork. 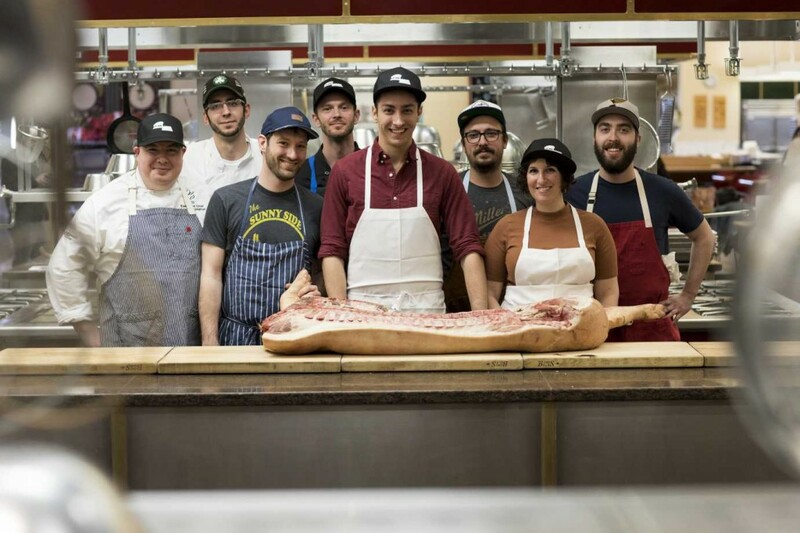 Anderson of Metzger Bar and Butchery in Richmond, VA proved that pork loin has more potential than many chefs are tapping – she prepared Smoked Pork Loin with green garlic, pickled mackerel, pale ale jelly and hop oil. Brunson of Old Major in Denver, CO – known for his charcuterie and sausage – showed the crowd his House Mortadella with mozzarella and robiola encrozza, lard anchovy aioli and spring garnish, highlighting emulsified sausage and demonstrating how to elevate these meats into something high-end and beautiful. 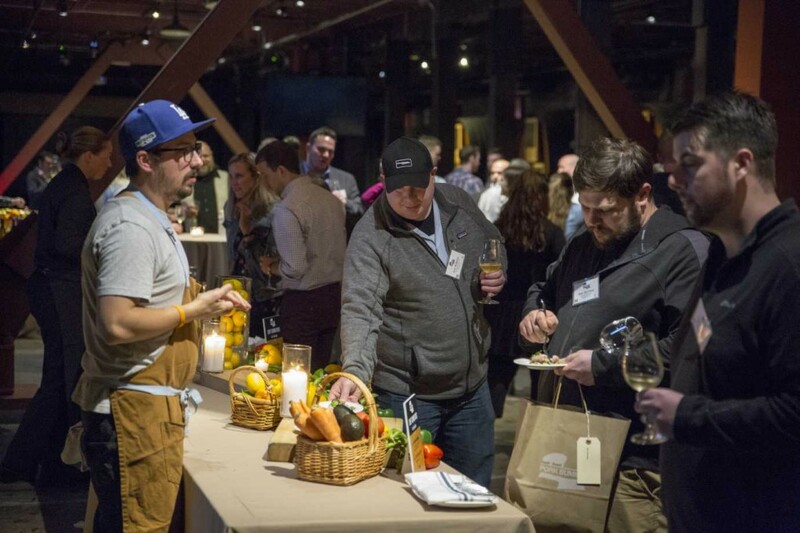 Following the demonstrations, guests moved into CIA Greystone’s historic Barrel Room for a reception featuring the chef demo dishes, an additional dish from each chef, and wine and beer pairings. 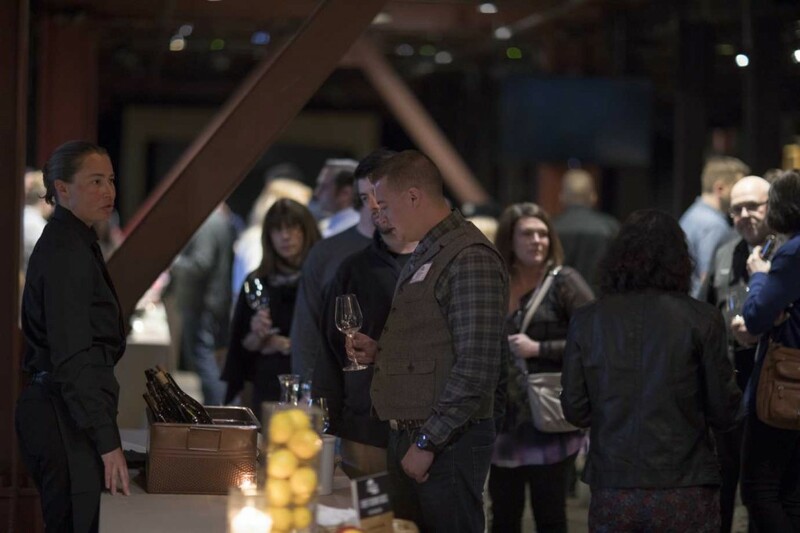 Goss partnered with Forlorn Hope Wines and served his Pork Knuckle demo dish with the 2014 Que Saudade Verdelho. He also served a Grilled Ham Steak with blood orange, green chile, dandelion greens and hazelnuts, which was served with the 2014 The Faufreluches Gewürztraminer. 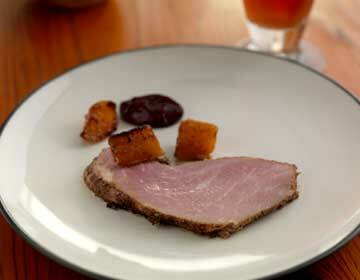 Carlisle’s Beer Mash-Fermented Pork Shoulder was paired with Lagunitas Brewing Company’s Lucky 13 Red Ale. Carlisle also offered a Pork Consommé Gelée with dried vegetables and pork katsuobushi paired with Lagunitas 12th of Never Ale. Anderson’s Smoked Pork Loin was paired with Matthiasson Wines’ 2015 Napa Valley Schioppettino from their eponymous vineyard. She also served a Sauerkraut-cured Crispy Rib Cake with kirsch, rhubarb and kohlrabi, paired with the 2014 Napa Valley Ribolla Gialla from Matthiasson. 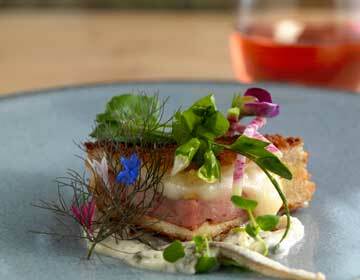 Brunson paired with Long Meadow Ranch Winery, who served their 2016 Rose of Pinot Noir from Anderson Valley with his Mortadella dish and their 2015 Sauvignon Blanc from Rutherford in Napa Valley paired with his Pork-and-Shrimp Sausage with radish, fennel, celery salad and rustic croutons. Guests left full, inspired and happy. Saturday’s events began with a Menudo and Migas breakfast in the third floor teaching kitchens. A Pork 101 class taught by Gerike followed the delicious Mexican breakfast feast. Attendees learned about the pork industry from farm to fork, including breeds, production, animal care and meat science, and had a pork quality demonstration and tasting. 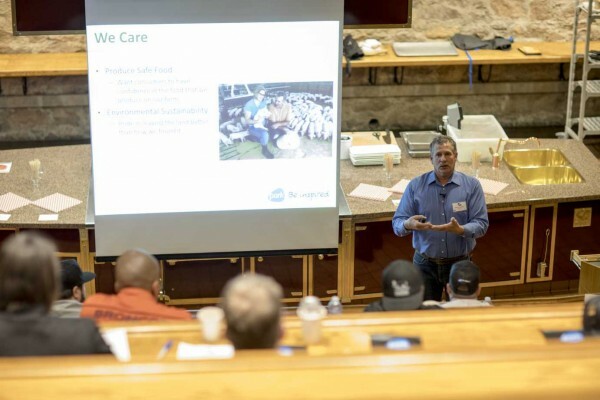 Attendees were especially engaged when Brad Greenway, America’s Pig Farmer of the Year, joined and talked about his experience in the pork industry. 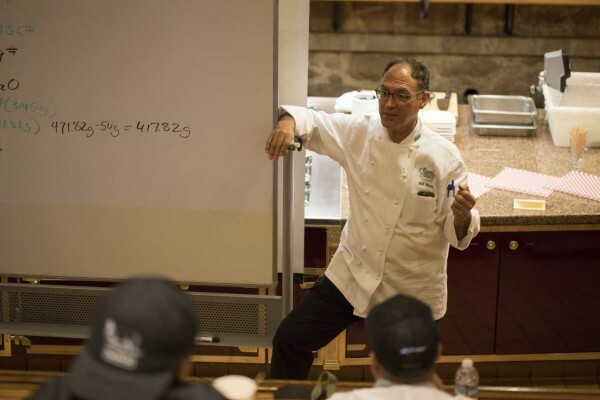 CIA Chef Instructor Bill Briwa taught a segment on the art and science of brining, and guests enjoyed a Japanese lunch prepared by Chef Briwa and Chef Lars Kronmark, also a CIA instructor. 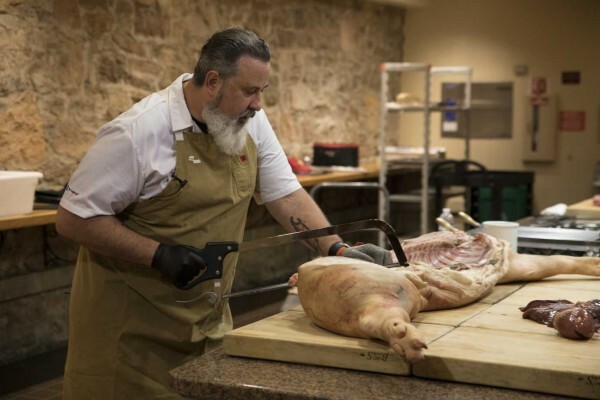 After lunch, Gerike demonstrated a whole hog fabrication ­– breaking down half a pig according to the common breaks used in foodservice following the Institutional Meat Purchaser Specifications, as well as explaining how to best utilize the parts in an independent restaurant. 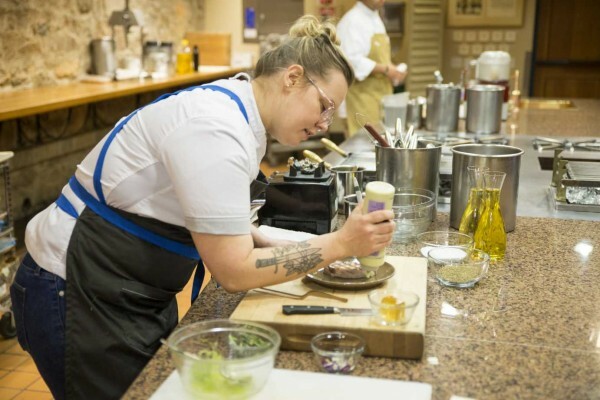 Attendees then broke into five teams made up of a demo chef, Taste of Elegance winners and foodservice media editors. 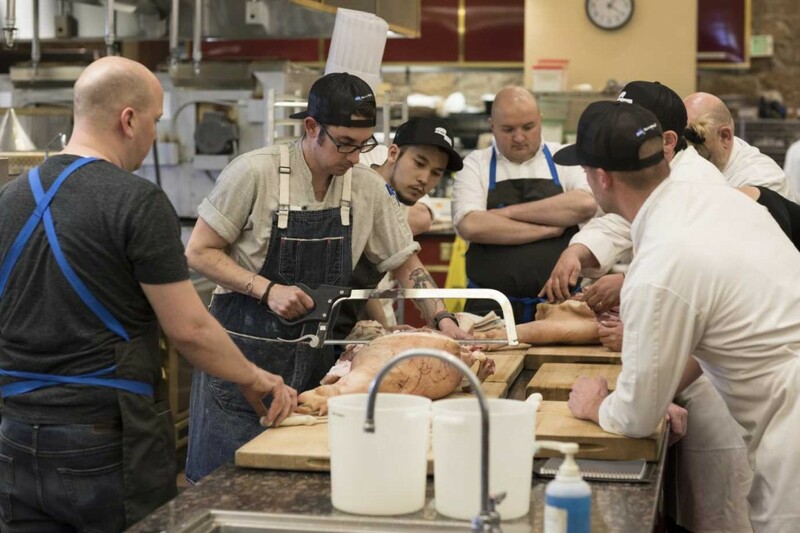 Each team put what they had learned to use by breaking down a half hog and prepping for Sunday’s market basket exercise. 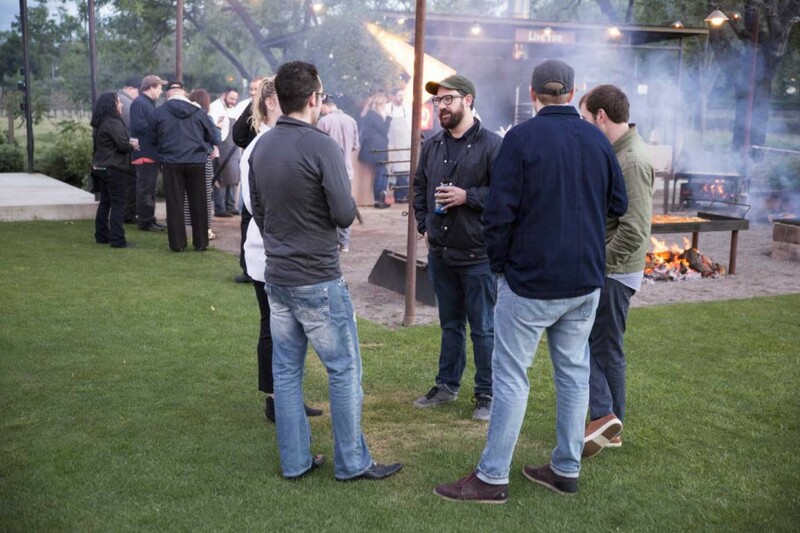 After a quick refresh at their hotels, guests attended a barbeque dinner at Farmstead Restaurant at Long Meadow Ranch. 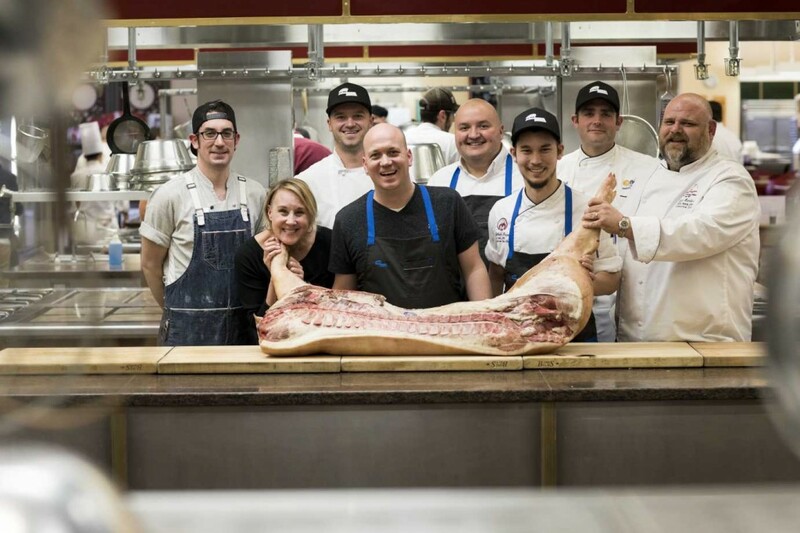 They were greeted with pork-centric appetizers, including country ham biscuit sandwiches and a charcuterie platter with a headcheese terrine. 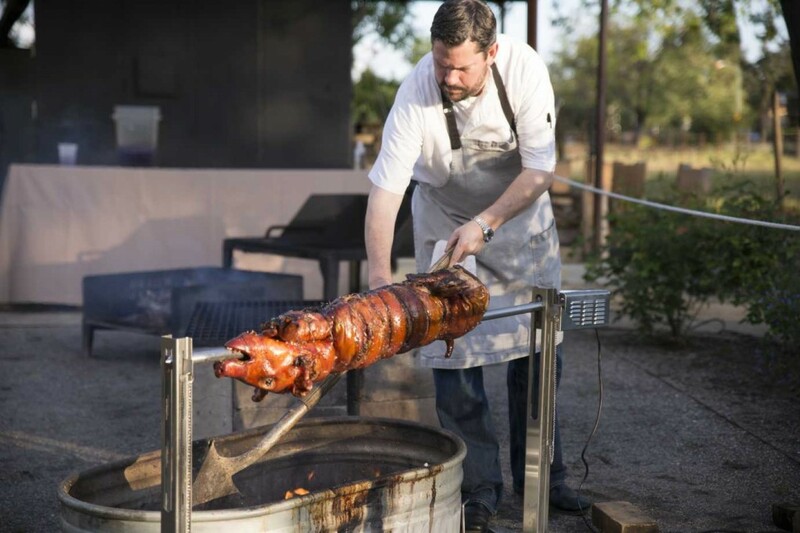 They sipped Long Meadow Ranch wine while watching Chef Stephen Barber prepare dinner in the outdoor fire pit. 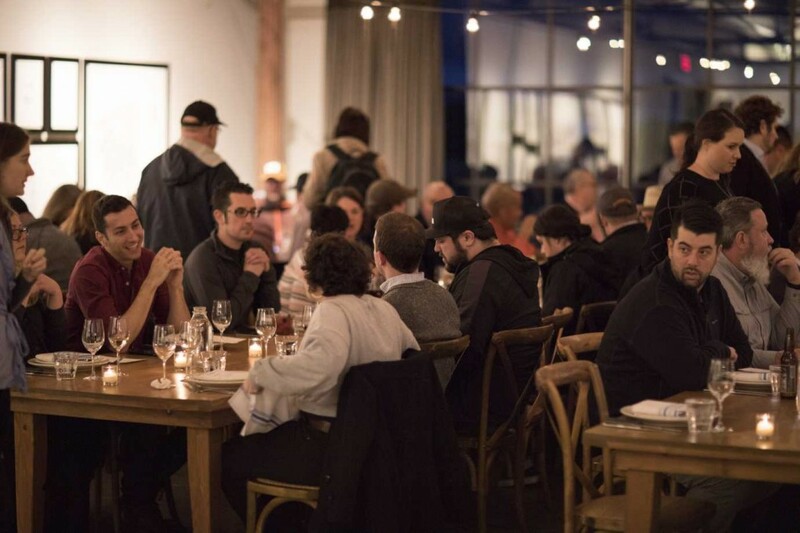 Once seated at long tables in the barn, guests enjoyed the family-style feast, which included Crispy Pig Ears and Char Siu Pork Loin Lettuce Wraps, Nashville Hot Shanks with pickles, Whole Porchetta with sauce mojo and shaved fennel, St. Louis Ribs with Memphis-style barbeque sauce and more. The evening ended with delicious strawberry shortcakes for dessert. Everyone was excited to get back into the kitchen on Sunday. The chefs joined together in the market basket exhibition, testing all the techniques learned over the weekend. 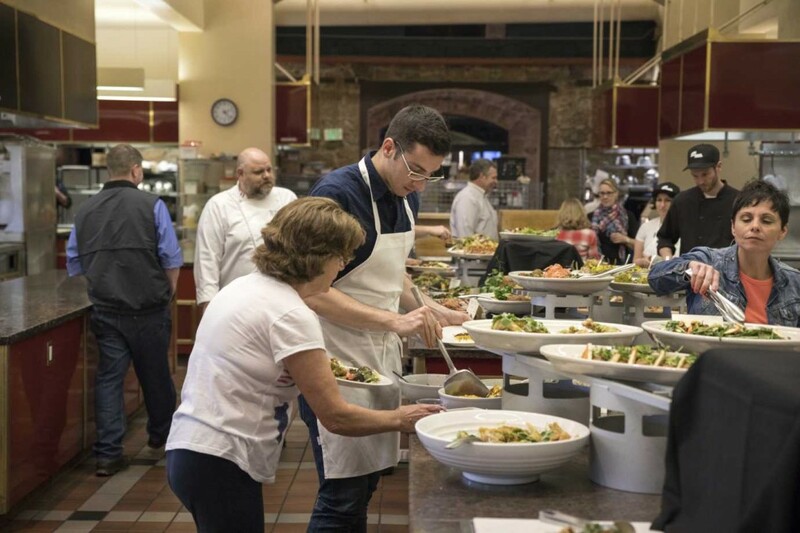 The teams had four hours to cook and produce five original dishes, which everyone enjoyed at a post-exhibition banquet. 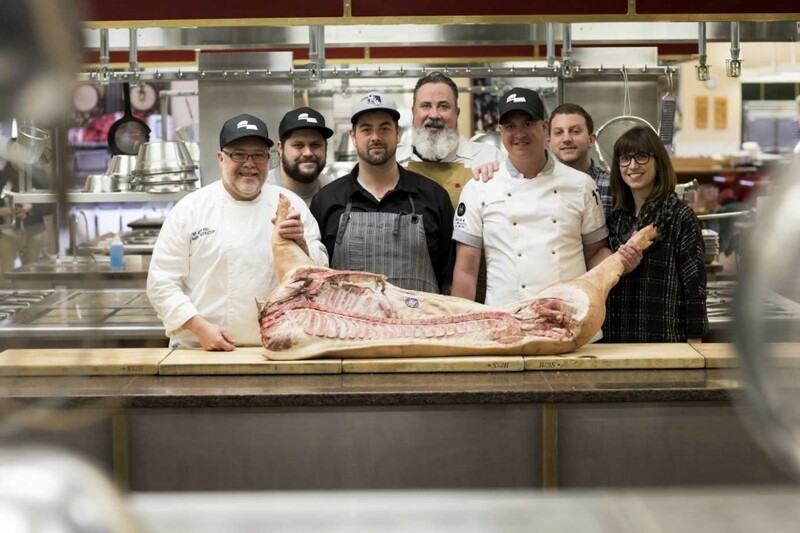 From pork quality and industry science to hog butchery and brining, education is the goal of the Pork Summit. 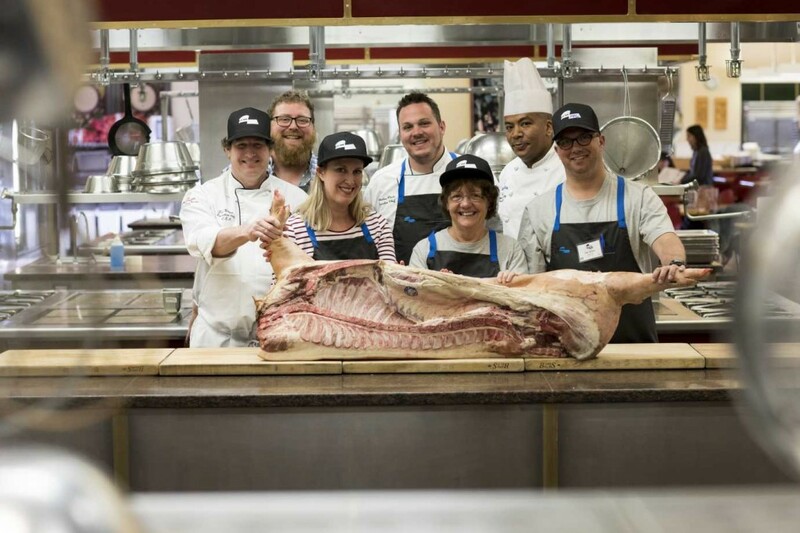 After a delicious weekend, attendees left St. Helena feeling inspired, with a deeper understanding of pork’s versatility and a greater appreciation for its incredible flavor. 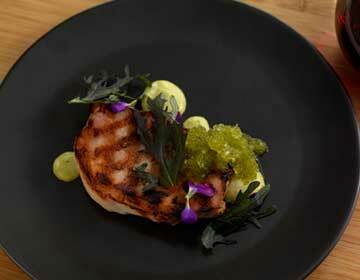 Chef Cosmo Goss of The Publican in Chicago, IL highlighted a creative use for the fresh leg. For the Poached Knuckle: Remove knuckle from brine and pat dry. Vacuum-seal with Poaching Liquid ingredients and cook in water bath at 138°F for 4 hours. Remove knuckle and let cool completely in the bag. Slice fully cooled pork knuckle on mechanical slicer into thin sheets. For the Salsa Verde: Combine ingredients until well mixed, season with salt and pepper to taste. 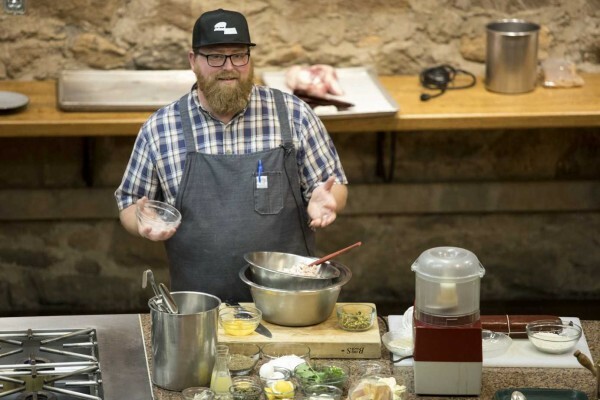 Chef Justin Carlisle of Ardent and Red Light Ramen in Milwaukee, WI showcased pork shoulder’s versatility beyond pulled pork. 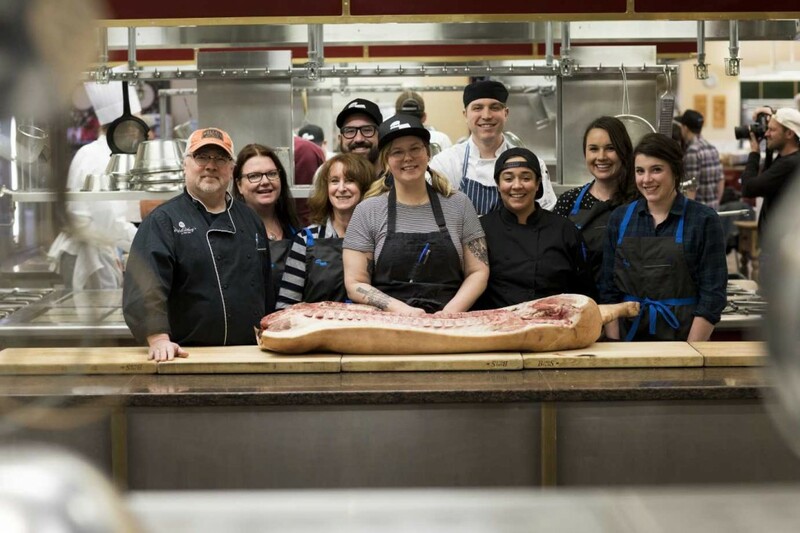 Chef Brittanny Anderson of Metzger Bar and Butchery in Richmond, VA proved that pork loin has more potential than many chefs are tapping with her demo dish. For the Pale Ale Jelly: Bloom gelatin sheets in cold water. Heat beer and vinegar in a pot over medium heat. Once gelatin has softened, remove and squeeze excess water from sheets. Remove pot from heat and add gelatin, stirring to combine and fully dissolve. Pour liquid into a ¼-sheet pan and chill until fully set. 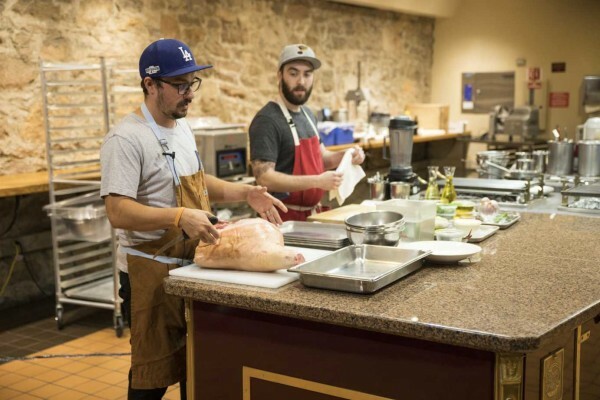 Chef Justin Brunson of Old Major in Denver, CO – known for his charcuterie and sausage – showed the crowd to make his House Mortadella. For the Lard Aioli: Put egg yolks in base of blender with Dijon mustard. Blend on lowest setting while slowly drizzling in warm lard; gradually increase speed and stream to emulsify. When fully emulsified, add garlic, anchovies, capers and lemon juice; blend to combine. Season aioli with salt and pepper to taste.